The register court in Würzburg appointed Dagmar Rehm (50) as new member of the Koenig & Bauer (KBA) supervisory board with effect from 27 March 2014 based on the shareholder representatives’ proposal. This follows Heinz-Joachim Neubürger’s decision on 25 February to leave the KBA supervisory board at his own request. His seat has remained vacant since then. It is the first time since the company’s listing on stock exchange nearly 30 years ago that a woman has held a seat as shareholder representative on the supervisory board of the world’s oldest and today’s second-largest printing press manufacturer. The new supervisory board member is CFO at Bilfinger Industrial Technologies. She will stand for election by the shareholders at the AGM on 28 May in Würzburg. 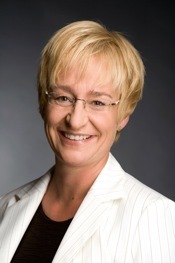 Dagmar Rehm, who has a degree in economics, worked in finance and accounting from 1989 to 1995 at the former AEG and until 2005 held senior commercial positions at German railway firm Deutsche Bahn. She later became senior vice-president corporate controlling at tour operator Thomas Cook. In June 2008 the financial expert moved to the construction and services group Bilfinger Berger SE in Frankfurt/Main as CFO of the division Concessions and since the beginning of 2013 has been CFO/commercial managing director of the division Bilfinger Industrial Technologies.